Hello, lovely readers! I On the Arts has returned! For several weeks now, I’ve wanted to write a feature about a local band called Riley Road. 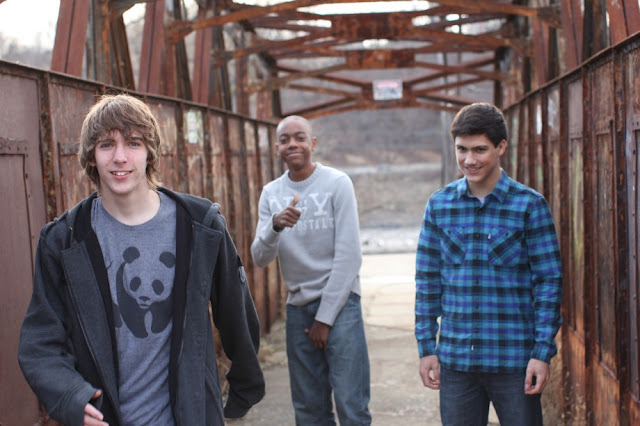 Comprised of Nicholas Cianci, Isaiah Weatherspoon, and Brandon Walker, this blues-rock trio is based in the suburban Philadelphia area and has played venues in Philadelphia such as the Hard Rock Café and World Café Live since the band’s inception in 2010. Oh, and the band members are all under 17. That’s right. Riley Road is a precocious, insanely talented trio of young men who have charisma, humor, and energy to spare. Nicholas and Brandon are 16, and Isaiah is 14. Nicholas plays the guitar and sings, while Isaiah handles the drums and Brandon lays down the bass. They have recorded one studio EP, which dropped last July, titled after the band, and have recorded one live EP. 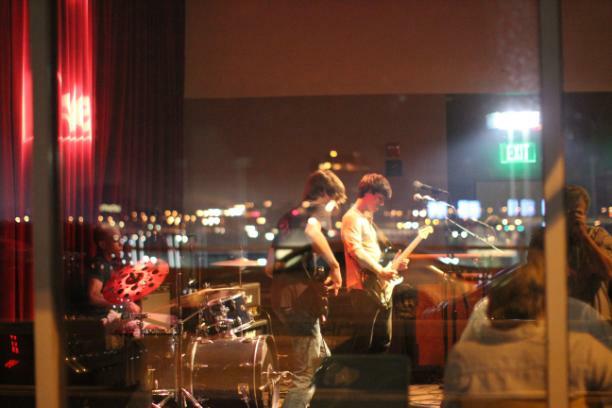 The band has already seen much success, having won several “Battle of the Bands” competitions, including recently in August at World Café Live in Philly, a show I had the good fortune to attend. Their next upcoming show is at the World Café on November 8, which I reviewed here. I sat down with the band via Skype to learn more about them. They kindly allowed me to interview them after their weekly rehearsal. The following is a slightly edited transcript of my 30-minute interview with the boys of Riley Road. I On the Arts: So just for background, could you all introduce yourselves and say what instrument you play? Brandon: I’m Brandon Walker, and I play the bass! Isaiah: I’m Isaiah Weatherspoon, and I play drums for Riley Road. Nick: I’m Nick Cianci, and I play guitar and I sing. Isaiah: Should we tell our age, too? Brandon: Me and Nick are both 16, and Isaiah’s 15. Isaiah: 14! I’ll be 15 in November. IOtA: Oh my goodness! You guys are so young! Nick: He’s young for his grade. He’s a grade behind us. Isaiah: Yeah, they’re both in 11th grade, and I’m in 10th. IOtA: I’m in college, so I win. IOtA: I win the oldness competition…. So, just an introduction question, I guess: Where does the band name come from? IOtA: That’s so nice! So what is the program? You said that she runs this afterschool program? Isaiah: Band programs…that they have about every three months. Brandon: Yeah, about every three months. IOtA: How long ago? When did this happen? Brandon: 2010, like, fall of 2010. IOtA: You guys are really prolific! When did you guys start recording original material? Isaiah: Immediately, actually. Once we got together… about two months later we started. IOtA: How does the writing process go? Brandon: Usually Nick will bring in a riff or an idea, and we’ll just jam on it for a really long time, and eventually he’ll come in with lyrics and we’ll put it into a structure together. IOtA: So often Nick is the one who has the little seed of an idea? Brandon: …Sometimes it’s a drum riff or something like that. IOtA: So who writes the lyrics? Isaiah: Don’t put yourself down! IOtA: So how long have you guys been playing official gigs? Because from what I understood about the World Café Live, that was big. Brandon: Our first real performance… It was December … 28th, I think? Brandon: …It was in December of 2010 at Steel City Coffeehouse. IOtA: So what was the first song that you guys completed together? Nick: “Leave It Alone”, which is the third song off the EP. Isaiah: That was the first song we completed. IOtA: So who are you guys’ musical influences? Isaiah: So who are some of your bass influences? IOtA: Oh, I’ve heard of him! IOtA: So, Isaiah, your turn. Isaiah: Yeah, it was fun playing with each other and we kind of connected instantly. Some of my drum influences…I love Tony Royster. He plays drums for Jay-Z. I just love his style! I love Questlove…he plays with the Roots. I like Ronald Bruner Jr…I’m just giving you a couple, ‘cause I could go all day… those are just a few out of many of my influences. Now it’s Nick’s turn! IOtA: The Village People? Like “YMCA”? Nick: I don’t know what…he’s talking about… yeah, okay, whatever. (laughs) But my main favorite genre is the blues, so…like BB King, Eric Clapton… I like the Allman Brothers a lot. Blues rock is what we are, sort of… It’s what I’m drawn to most. IOtA: Could you all go one at a time and describe your favorite live concert moment that you’ve had with the band? Brandon: Because we went from a great set to a great dinner, y’know? Nick: My favorite moment probably has to be the just whole EP release show, ’cause that was so much fun… What happened was, we had [the show] July 7 and we were hyping it up real big, trying to get the place to sell out… and we had probably 70 people… that we thought were for sure going to go, and then the day of…40 people bought tickets the day of, and it was past the fire limit! IOtA: Ah, the pains of being so talented! Nick: But it was the best show ever, cause I think we were pretty on that night, and it was just a lot of fun all around. Isaiah: I think I’ll have to say the EP release as well… because a lot of our friends, family and friends came to support us that night, and it just gave all of us extra motivation to do our best. We just wanted to rock out the show! Dear Readers, Riley Road is a band to watch. When they take the stage, they always “rock out the show”. Join me on Thursday, November 8 at the World Café Live in Philly (3025 Walnut Street) to hear this great new band performing live. For more information check out the band’s website, www.rileyroad.com. You’ll be very glad you did! Great interview! It really give us Riley Road fans some idea of what the band members are like. They are funny and seem to really enjoy each other. This is a great new band, and I hope your Philly area readers get a chance to go see them play live.